Do you want to save web pages offline to read them later? Well, check this easy tutorial for Chrome, Firefox, Edge, Android, and Windows. Either because you have a long trip by plane and you want to take advantage of it to catch up on all the articles that have been published on your favorite website or because you don’t have a constant Internet connection, you can download the content of the web pages choose your hard drive. If you only need to download a specific web page to see it offline later, you don’t need anything more than your favorite Internet browser, which at the moment will need to be connected to the Network to download the necessary files. 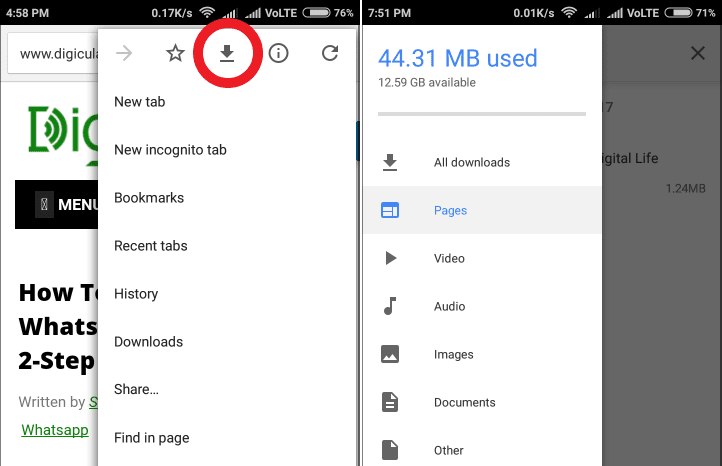 For example, if you are using Google Chrome or Mozilla Firefox, go to the web page that you want to download to your PC to view it later offline, and click with the right mouse button on any blank space within the web. In the context menu, choose the Save as… option. Then, in the window that opens, select a location to save the files, indicate a name for it and set the Type as Web Page (complete). Next, a new folder and an HTML file with the same name will be created in the indicated location. When you want to see that web page offline again, click on the HTML file, and you can see its contents, although obviously, you will not be able to access the links to other pages that it includes. This is especially useful when you are traveling. Let’s take as an example that you visit a country in which you have no connection. You may need to consult information of some kind, such as maps, how to get there, etc. One option is to take screenshots beforehand or save the page as a PDF, for example. However, you can also see that Web page without connection in a simple way. In this example, I’m going to use Google Chrome, which is the browser most used by users on different platforms. You only need this app and choose which page you want to save. The first step logically is to access the Web that you want to save offline. Once there, locate the menu (three points, at the top). You will see above all the different icons among which is an arrow pointing down. Touch the button, and the download will begin. You simply have to open the file that was downloaded to be able to enter the page. If you do the test and remove the mobile data and the Wi-Fi connection, you will see that it opens correctly and shows us that there is no connection. But of course, the most normal thing is that you don’t want to see that page at that moment. Surely what you are looking for is to be able to see it another day, when you know that you will not have a connection. Also, you can perform this step on all the pages you want. To open the saved web pages you can easily access through the menu, again. You need to open Downloads. The pages with your name will appear, to identify them correctly. You can save entire websites easily using some of the tools I will show you below. 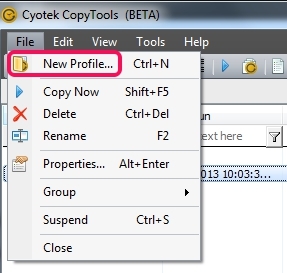 I will show you the process to save an entire webpage with Cyotek WebCopy and some other two alternatives. In the previous steps, you have seen how to download a web page to see it offline. But, what if I need to be able to navigate a complete website without a connection? If for a moment you have imagined having to download one by one all the pages that form that website, their photos and the respective links, quiet. WebCopy will take care of all this. This tool for Windows is responsible for analyzing the entire network of files, links, to download complete websites to your PC and see them offline. The whole process is quite simple to perform and allows you to control some options of those downloads so that only the content that interests you is downloaded. 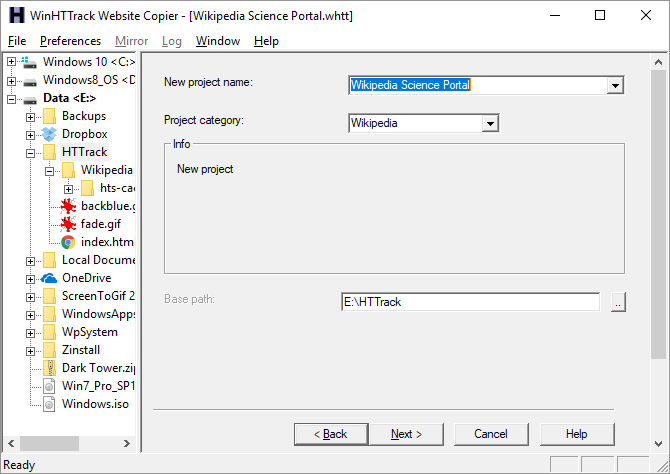 Start by accessing the web download WebCopy tool and install it on your computer to start using it. Next, click on the File and choose the New option to configure the download of a complete website on your PC and view it later offline. Then, type the URL of the site in question in the Website box and choose a folder in which to store all the files using the selection icon that you will find on the right side of the Save folder box. Finally, click on the Copy Website button in the top bar and the web page will start downloading in the indicated location of your hard drive. Keep in mind that the tool downloads the entire website, so it may not be the best option to download web portals of news, blogs or forums with a lot of content since the downloading of all that vast amount of information could take hours and even days. On the other hand, with smaller web pages, it will only take a few minutes to download all the content to browse it offline. 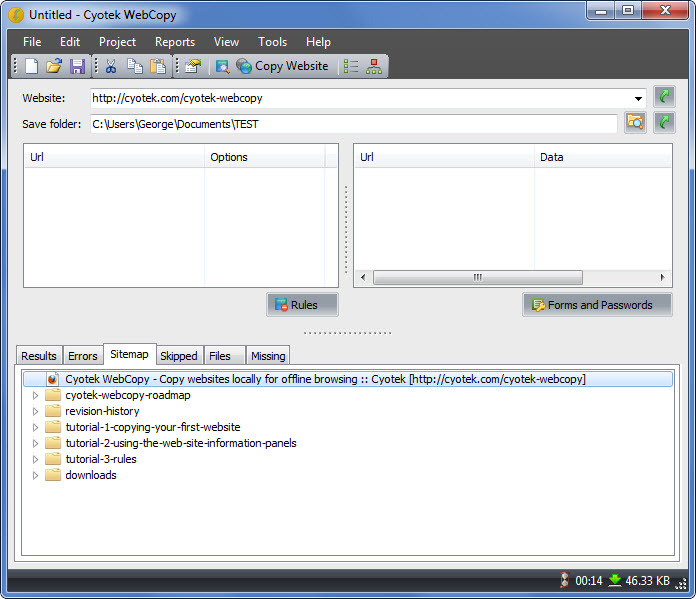 To browse the pages downloaded with WebCopy, go to the folder where you downloaded it and look for the file index.html. Double-clicking on it will open in the browser, and the home page of the web will be displayed. Free, easy to use and available for Windows, Linux, and Android. HTTrack Website Copier connects to the web page that you indicate and shows you its content tree. From there, and the rules that you configure, HTTrack will download everything that you indicate, both folders and subfolders as HTML and PHP files, images and even videos. Anything that is linked to the web page. As incentives, you can create filters to discard specific file formats and thus not download what doesn’t interest you. Then, while saving the content, you can skip files that you see unnecessary. If you need a tool similar to the previous ones but that works for both Windows and Mac and Linux, Darcy Ripper is one of the best tools to save web pages offline, since it doesn’t require installation and is compatible with any operating system since it is a Java executable. Like the previous solutions, Darcy Ripper analyzes a website from the link that you provide and will download the content according to the rules we stipulate to download only what you want. You can, for example, limit the size of the downloaded or download to a certain level of depth within the organization chart of the website. In the end, you will see history with everything downloaded and if there has been any error or problem during the download. Another of its advantages is the possibility of making several connections at once to streamline the task, see progress in real time and deal with both HTTP and HTTPS pages. I show some of the ways that you have to save web pages offline on Chrome and Firefox and even on Android devices. Also, I give a list of some tools that let you save entire pages to read them later. Do you know another way to save web pages offline? Let me know in the comments section.